Gallery Jinsun has grown along with young and aspiring Korean photographers since its establishment. From 2011, Gallery Jinsun has hold exhibitions together with overseas growing photographers called PHOTOSPECTRUM INT. As part of international exhibitions, “PHOTOSPECTRUM INT” in Korea is designed to play a key role of cultural communication amongst the global photo art markets and to give an insight to the flow of the modern photos via versatile foreign photo arts. 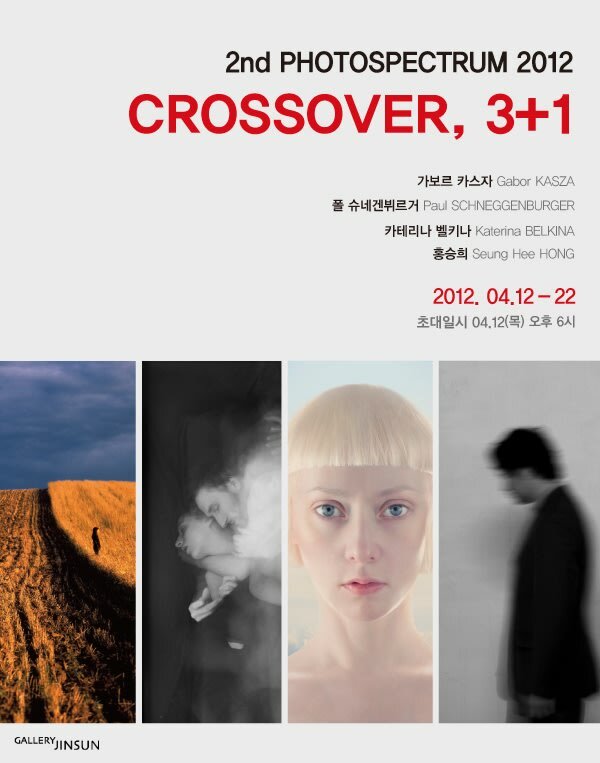 The Second project is organized with International arts exhibit named <Crossover, 3+1>. Through this <Crossover, 3+1>, spectators have an opportunity for appreciation of a new aspect of modern photography in the 21st century. I cordially expect that “2nd PHOTOSPECTRUM INT 2012” will not only enrich the cultural contents of contemporary photography, but also be a great opportunity to widen cultural exchanges globally. Additionally, I would like to extend my sincere gratitude to all who assisted with this event, the involved and participating photographers.